The conference dinner will take place on the day before the conference - the 9th of November at the restaurant “Auerbachs Keller”. The restaurant is situated by the address: Mädler Passage, city center, Grimmaische Str. 2-4, 04109 Leipzig. You will find the map here. The fee for the dinner is 30 Euro, it includes main meal, beer and soft drinks. The fee can be paid during the registration for the conference. 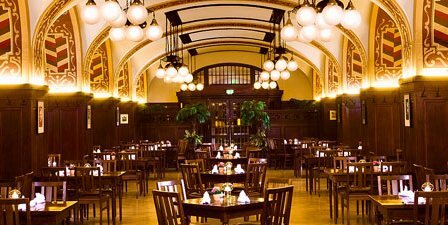 The dinner is planned for Wednesday, November 9, 2016 at 19.00 h.
The conference restaurant is a beautiful historical place and even Goethe himself used to visit this venue.